Researchers and projects affiliated with the Greenland Institute of Natural Resources (GINR) can apply for logistics support and use of institute facilities. The application process is described below. GINR will process applications upon receipt and inform applicants whether or not the desired support or facility can be booked during the time specified. If it is possible to provide the desired support/facilities, the reservation will be entered into the booking calendar (see below). As GINR's logistic- and laboratory facilities are limited and much drawn on, especially in the summertime, not all applications can be approved. Smaller groups of 3-4 people are we are normally able to fit into our facilities, such as boats and laboratories. Larger groups of 6-8 people are also possible as long as they don’t require being at the same place at the same time (i.e. 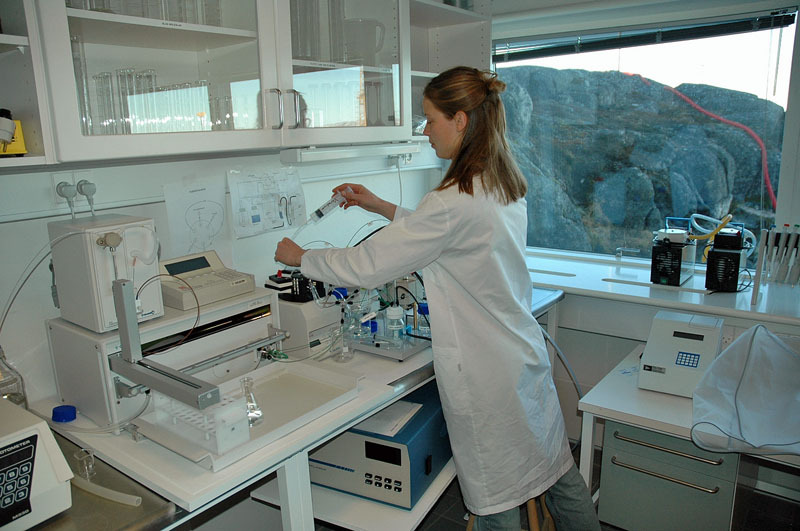 some members of the group are working in the field, while other parts of the group work in the labs or offices). Large groups of 10-12 or more are we are normally not able to facilitate. The guest house of the institute, The Annex, has 5 apartments and 8 rooms. Apartment #1 and #3 can house 1-3 persons. Apartment #2 can house 2-4 persons. Apartment #4 and #5 can house 3-5 persons. Each of the 8 rooms can house 1 person (with quest bed 2 persons). In case the Annex is fully booked projects are suggested to contact the hotels in Nuuk. The institute has in Nuuk three boats: "Aage V Jensen II" (capacity: 2 crew + 10 passengers or 2 crew + 1,000 kg goods), "Erisaalik" (capacity: 2 crew + 6 passengers or 2 crew + 600 kg goods) and "Avataq (capacity: 2 crew + 6 passengers or 2 crew + 1.100 kg goods). 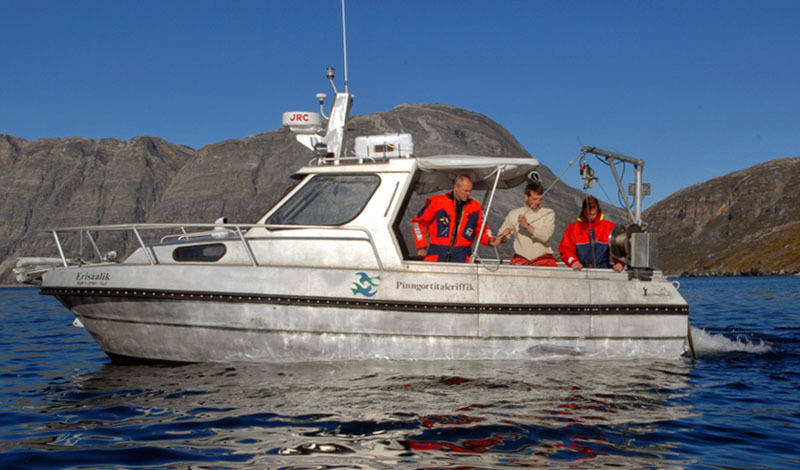 In case the boats are fully booked projects are suggested to contact private boat charters in Nuuk. GINR vehicles are only available on hourly basis, and only when not used by GINR internal staff. For other needs projects are suggested to contact private car rental companies in Nuuk. Booking of accommodations, meals and office space is applied for by filling in the form: Application for logistics support at GINR. Please e-mail the completed form to: booking@natur.gl. Booking of boat transportation is applied for by filling in the form: Application for boat transportation at GINR. Please e-mail the completed form to: booking@natur.gl. A fee is charged for some of the facilities and services provided by the Greenland Institute of Natural Resources. Current list: List of prices of facilities and services at GINR.